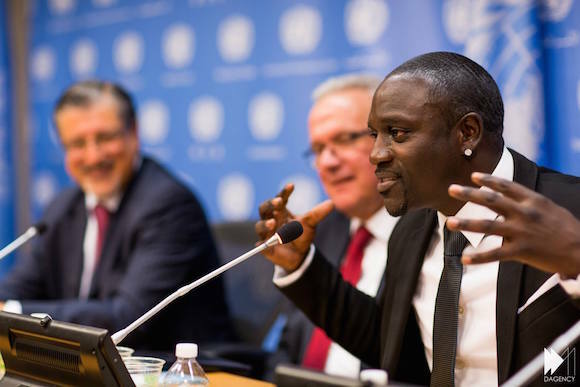 Senegalese-American pop singer Akon, founder of Akon Lighting Africa, which aims to bring electricity to Africans who currently lack it, announced the launch of a new “Solar Academy” to develop skills and expertise in this field in Africa. This professional training center of excellence is a first on the continent and targets future African entrepreneurs, engineers and technicians. This project is being introduced under the patronage of Solektra international, a partner of Akon Lighting Africa, in collaboration some European experts who will supply training equipment and programs. It aims to reinforce expertise in every aspect of installing and maintaining solar-powered electric systems and micro-grids in particular, which are really taking off in rural Africa. With its 320 days sunshine a year, the continent is perfectly suited to the development of solar power, particularly since 622 million Africans still do not have access to electricity.